And so it has started again: I’m on the hunt for yet another publisher. Why, oh why, can I not be like other writers? Why can’t I just publish in one genre, find myself a good old publisher who actually publishes these books, and happily continue that relationship until death do us part? Or why can I not simply throw up my hands as so many writers have done and turn my back, once and for all, on the legacy publishers in favor of going the self-publishing route from here on in? There is no simple answer, but I’m committed to figuring it out – even if it doesn’t solve my current problem. There are really quite a few reasons why I can’t commit to one publisher, or even one route to publication. As I wade through the mire of my own writing/publishing mess, perhaps sorting myself out might help others who have the same issues. Why can’t I simply commit to traditional publishing? I’ve already journeyed down this route to the very end ten times. Ten books submitted, re-submitted, re-worked, accepted, published. TEN TIEMES! Surely I have the issue of approaching and procuring a publisher licked. But here’s the thing: If you’re not a best-selling author delivering books in the same genre time after time, it can be very difficult to maintain a relationship with a single publisher since they all have their own specialities, and they rarely publish outside their guidelines. The lesson here, of course is, don’t even try to approach a publisher with a query about a book unless it falls clearly within their publishing mandate. This is plainly illustrated by my own experience: although I’ve been through the traditional publishing route ten times, I’ve worked with eight different publishers. Yup, that’s right. Eight new routes to navigate and even more than eight editors to develop relationships with since at one of the publishing houses, I went through three editors enroute to publishing ne book (editors do leave mid-project for greener pastures). The bottom line truth this time around is that this new book isn’t at all like any of my previous books. I’m a hybrid author in more ways than one! These days the term hybrid author seems to refer to those of us who publish both via the traditional route and the indie route depending on the project. It can also refer to people like me who write in a number of genres – fiction & non-fiction and different types with those broad categories. So that makes the traditional route difficult and time-consuming. So, why don’t I just self-publish? Again. I’ve gone down the self-publishing route three times at this point, but only for fiction, and this book is non-fiction – a combination of narrative and prescriptive. The conventional wisdom holds that it is easier to have non-fiction acquired by a traditional publisher than it is fiction. My own experience would seem to bear that out, but my personal anecdotal evidence isn’t really enough to use as a basis for such a conclusion. I suspect that I’m a more talented non-fiction writer than a fiction writer, although I’m working to change that! If you knew how much work I’ve already done on the marketing for this as-yet-unpublished book you’d think that I was planning to publish independently. I’ve written marketing copy; I’ve had a cover designed; I’ve created an unpublished web site for it; I’ve even begun to develop a series of podcasts. I’m also story-boarding a book trailer. The truth is that you almost need to do this in advance of being taken on by a traditional publisher these days anyway. I’m still a traditionalist at heart, believing in the value of the third-party advocacy provided by legacy publishers. I’m not willing, however, to spend another year searching for that publisher. I’m aghast at the notion of submission-rejection-submission etc. once again on the route to acceptance. So, maybe my loyal blog readers could help me decide. Who Will Read Your Book? There are lots of books about how to write a book. This isn’t one of them. This book is about how to navigate the increasingly confusing world of twenty-first century book publishing. 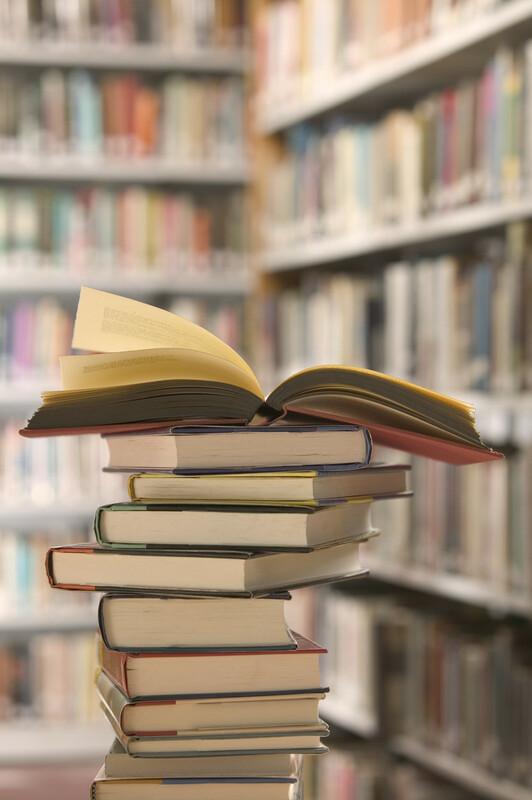 Whether you are an academic with a dissertation you’d like to turn into a book, a mom with a memoir or a newbie with a novel, if you want to get it published there is probably a lot you don’t know about what you don’t know. Who Will Read Your Book? The Unknown Writer’s Guide to the Realities of Writing & Publishing starts with this seminal question then moves in to fill in the gaps. 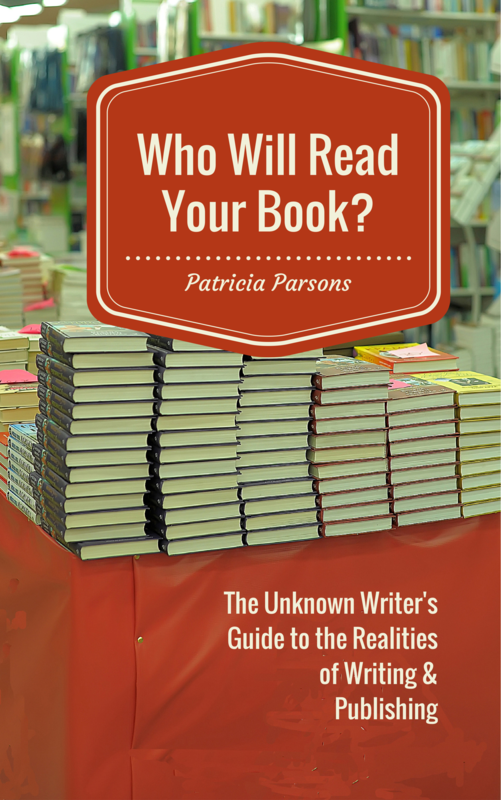 Patricia Parsons knows a thing or two about the wild world of publishing. A communication professor with numerous professional books placed with traditional publishers, she is a closet fiction writer, has vanity published, self-published, sold a self-published book to a traditional publisher, and has scads of finished and half-finished manuscripts on her computer. It takes chutzpah to approach each new book you write as a new challenge whether they be fiction vs. non-fiction, publisher vs. self-published, or a whole new genre. On good days, I like to consider my own erratic approach to writing as a sign of my having a curious mind. Other days I question why I don’t stick with one thing and keep at it until I’m expert and save myself a lot of grief. I’ve accepted this is not perhaps my nature nor perhaps is it yours. Should we celebrate who we are as writers rather than despair who we are not? I’m trying, anyway. I celebrate my eclecticism all the time! It’s at moments like these, though, when at a crossroads, that I do need to wring my hands just a bit. I think that there are many more of us out there than we think — bona fide hybrids, in all writing senses possible. Thanks for stopping by, Alison! Hope your own writing is going well.